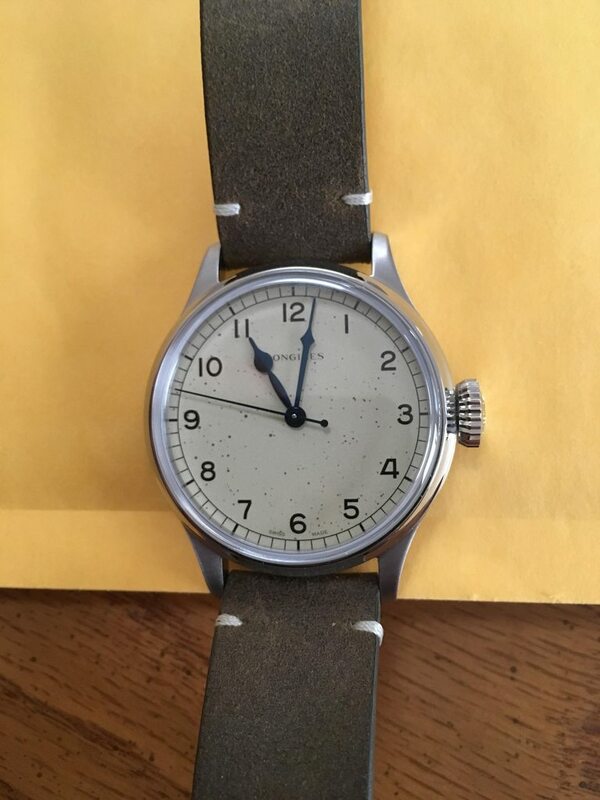 There are those who have complained about the treatment of the dial, but in the metal this is a beautiful watch with a cream-colored dial and exceptional blued hands. It is 39mm, the perfect size for all except the most formal occasions, I think, and remarkably comfortable and legible. Mine has been running less than +1 seconds per day (it has the elabore version of the ETA 2892). It fits in well with my others (four of my six are time only; two have date wheels).